Haiku by myself. 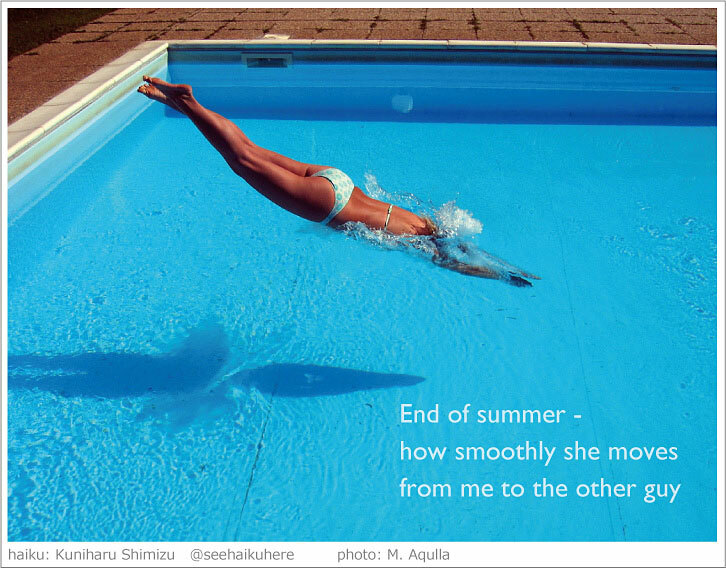 The season is changing so I am posting summer related haiga in a hurry. A photographic moment is nicely captured in this photo. You have a great talent Kuni-san, you're playing the summer, you did a good interpretation..., i think it's very difficult play the caracter of summer. Thank you for nice comments. I just love a photo like this, a human figure quietly connecting two worlds, world of air and that of water.